There are more than eighty different ethnicities and cultures spread all along the mountains, deserts and forests of Ethiopia. 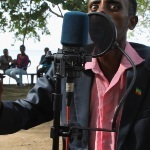 Some musicians are still playing the music they learned from their fathers and mothers – instruments such as the krar, washent, masinko and kabero are nowadays roaring and bouncing against the hills of this land full of contrasts and diversity. 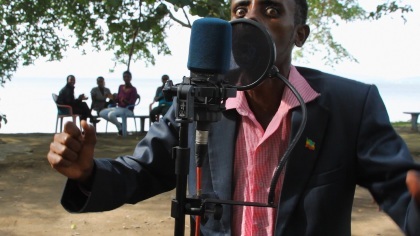 In order to unveil this musical universe and keep a record of this endangered music tradition, SolySombra Recordings, together with Sheba Sound teams, spent two years creating field recordings from every corner of Ethiopia, documented in this audiovisual poem. Joaquin Piñero, the director, will be present for a Q&A session after the screening.